Our last stop before heading home from our birding road trip last week was Rondeau Provincial Park. We planned on spending the morning there and heading back to Toronto around lunch time. 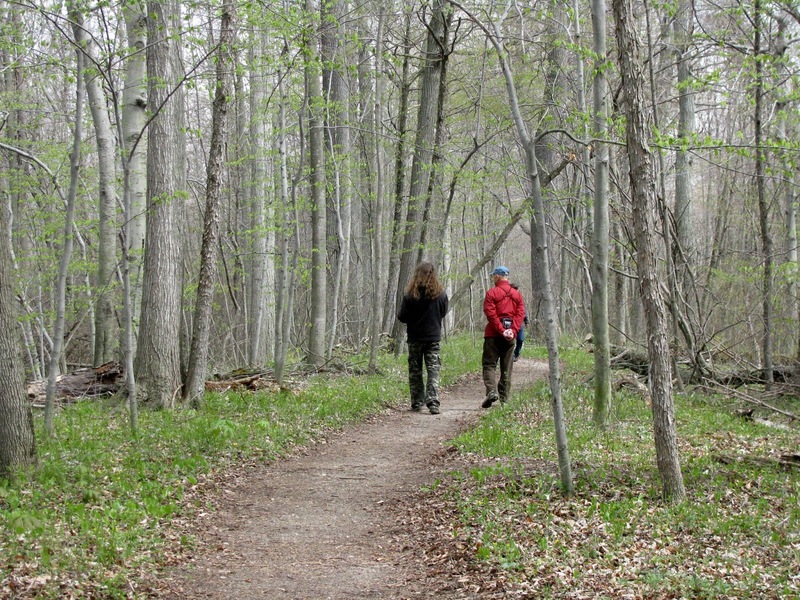 The last trail we did before leaving the park was Spice Bush Trail. We hadn't been on that trail more then five minutes when a bird excitedly caught my attention. 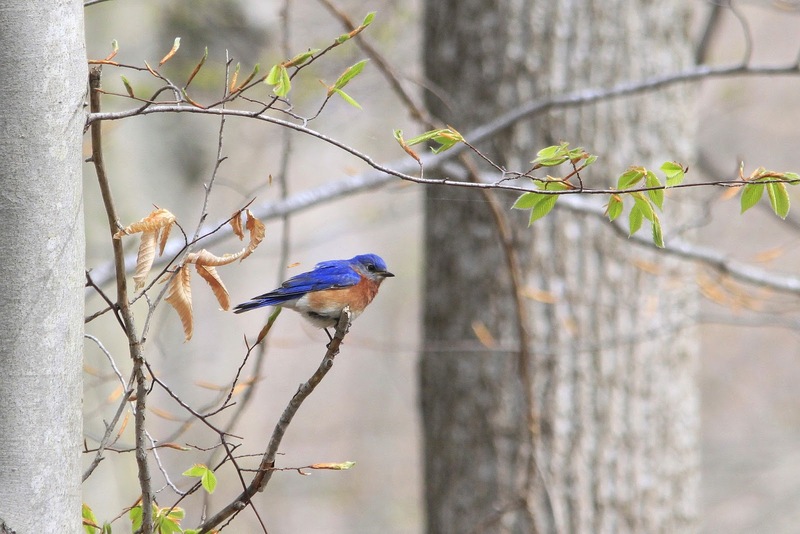 An Eastern Bluebird!!! WOW!! My first sighting of one of the year, and in the last place I expected to see one, a forested area. Eastern Bluebird on the Spice Bush Trail. 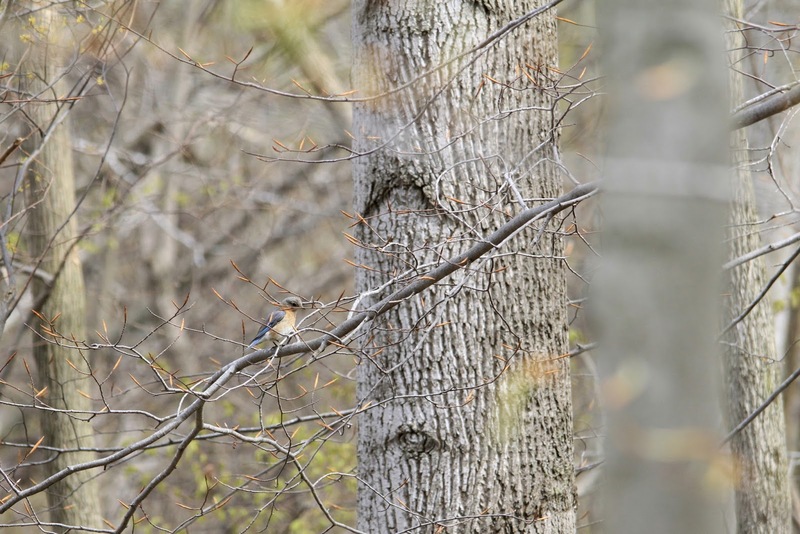 We weren't the only ones who got excited by the bluebirds sighting. An older gentleman we had passed when we first started the trail had returned. He had been looking for a piece off his binoculars he lost. He seemed quite excited about the sighting too. 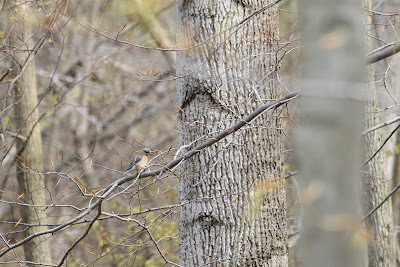 We continued down the trail, with the Eastern Bluebirds, there were at least 3, 2 males and 1 female, if not more. I soon realized that the elderly man meant to walk with us. At first I was annoyed, and hung back. This was the last trail we were going to do of our trip, I wanted to spend the time with Rob alone. But then as I looked at them walking, I was suddenly struck with a glimpse of the future. One day, that would be Rob or I walking alone. I stayed back just long enough to snap the top picture of them walking together before I hurried to catch up. "Sy", we found out his name at the end of the walk, was happy to have the company. 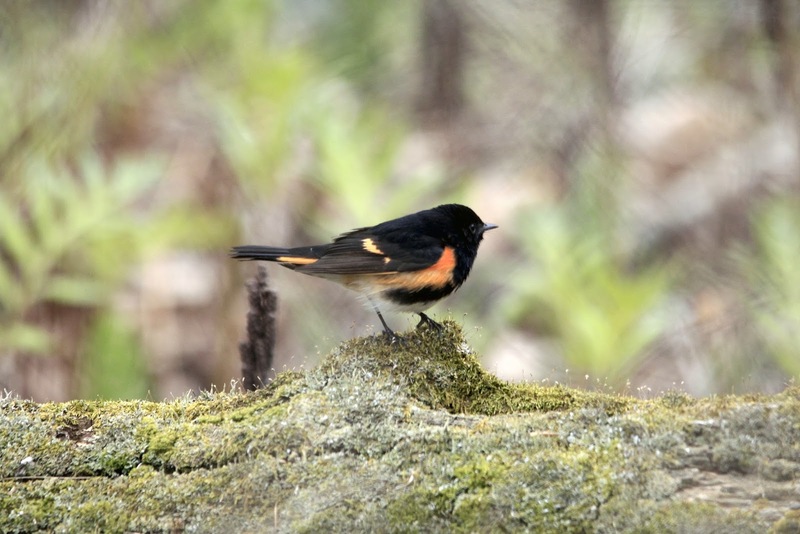 He chatted away about his birding past. He was a widower, and referred to his wife as the spotter when they use to go for nature walks together. I silently wondered if Rob would share that same tale one day, as he calls me "eagle eye" when we bird. Sy told us of spending hours on his belly with friends snapping photos of plants and flowers. He told these stories happily, but you could sense the sadness just below of the surface. 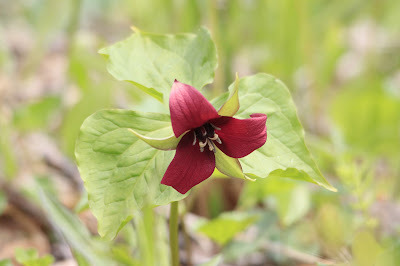 It was more of a talking walk then a birding walk, but every once and a while we did stop to look at a bird or flower. It was easy to tell that Sy was really enjoying his walk with us, and he asked a couple times if we minded him joining us, we both said "no", that we enjoyed the company. It made me sad to think that one day Rob and I would be Sy. That one day, one of us, wouldn't have the other to enjoy these walks with. 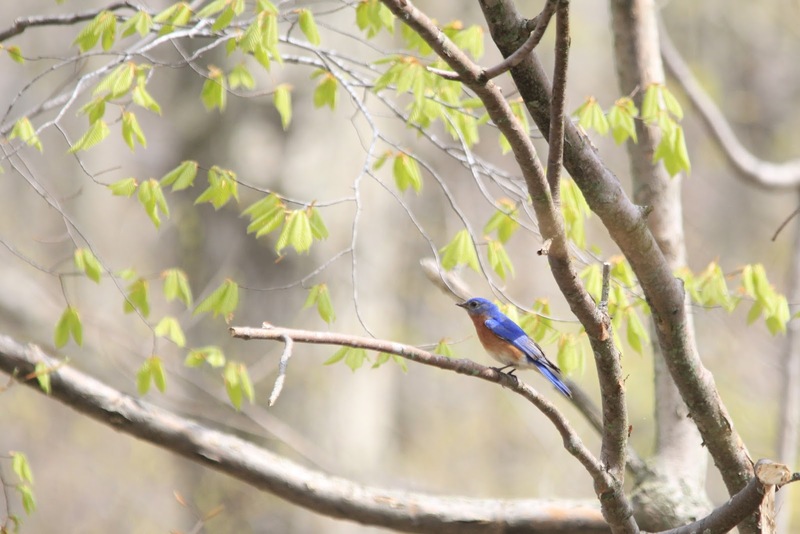 At one point during the walk, we had stopped to watch the Eastern Bluebirds again, who we had seemed to catch up with, and Sy looked down on the path, and right there in the spot we happened to stop at, was his lost binocular piece. He was thrilled. 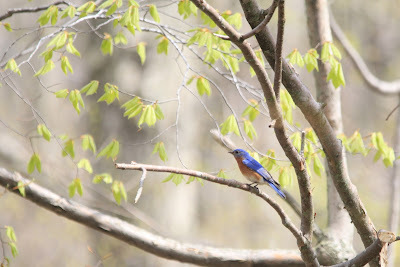 At the end of our walk, Sy thanked us heartily and said that he was going to return to his trailer with a big smile on his face, and it all started with an Eastern Bluebird sighting. I hope we see Sy next year. The bird that started it all. It took a little longer to do the trail that day, and we didn't see many birds, but we couldn't have ended our trip any better.